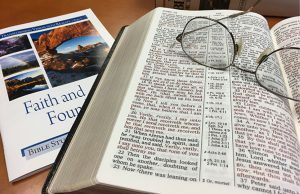 Our Bible curriculum and study guides on various Bible topics help local churches and study groups deepen their knowledge of God and His Word. Lessons are available for adults, junior high, and senior high youth; intermediate students (grades 4, 5, and 6); primary students (grades 1, 2, and 3); and preschool/kindergarten students (ages 3-5). These studies are also suitable for individuals to use in home settings.